Our You Are More Than campaign is back for January 2019. 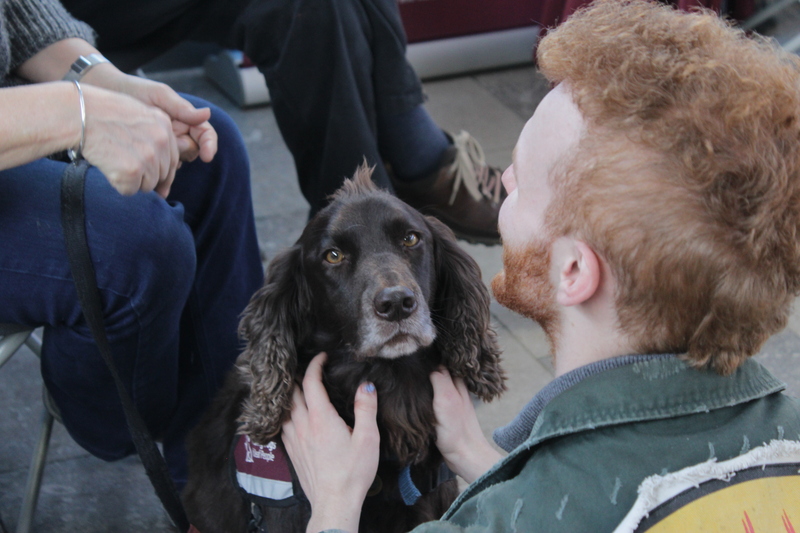 We have lots of activities planned, including free exercise sessions, and the best news of all… the Hearing Dogs are back! You can also grab some free soup and take advantage of our study and chill out spaces. 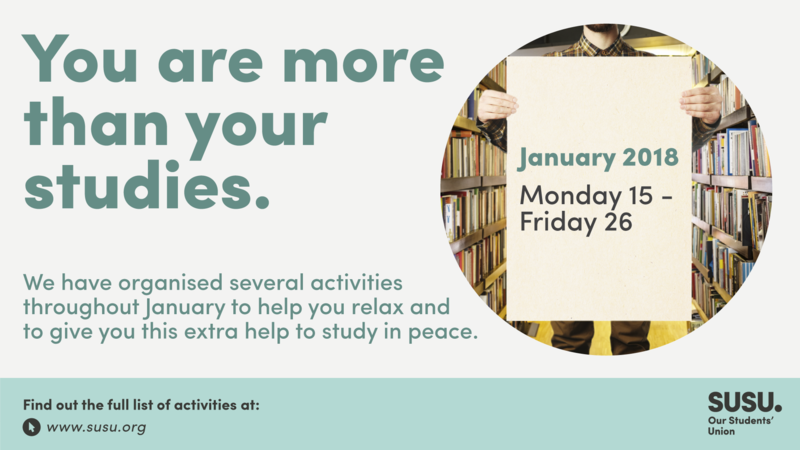 Studying is important but we would like to encourage everyone to keep your study habits healthy – this means remembering to take lots of breaks, eat healthily, exercise, and look after your mental health. Remember, you are more than your studies. As the Semester One exam period is fast approaching, we’re pleased to announce the return of the Union’s You Are More Than campaign, supporting each and every student with a range of study spaces in the Union, events and activities. It’s important to take a break and relax away from your exams, assignments and hand-ins.